This was a year and a half back when we spoke with Apurva Bose Dutta, an architectural journalist from Bengaluru to understand the challenges of Exploring Architectural Journalism As A Career in India. We have come full circle now as she talks about her first authored book; ARCHITECTURAL VOICES OF INDIA: A Blend of Contemporary and Traditional Ethos that looks forward to bridging the gap between the architects, built environment and the people, a responsibility that she feels architectural journalism as a subject and a profession should aim to fulfil. Launched in the first week of September, this book, gets under one roof illustrious architects from India across generations, cities and building genres (including the legendary CN Raghavendran, sustainability champions Parul Zaveri-Nimish Patel, green expert Karan Grover, urban planner Christopher Benninger, high-rise expert Hafeez Contractor, and many more) into talking mode. “As a young architectural student, I found my calling in a well-known specialized field of architecture overseas, though almost unknown in India, way back in 2005 when I graduated with a B.Arch degree from the Chandigarh College of Architecture. Though there are only a few “mainstream” professions in India that have been readily accepted in the society, the changing times have seen the society welcoming professions that might not be very well known, but are important. One of the most exciting things that I love about my profession is the fact that I get to meet many professionals connected to this industry. It is inspiring to not only know their life stories and career paths, but also the many stimulating and fascinating perspectives they have for the profession. For my first authored-book, I thus chose to write on some of these “missionaries,” as I call them in my book. I felt there was a need to pause and reflect on their works, thoughts, ideas, and visions because these ideas not only reflect the architectural evolution in India but also give birth to a framework in which architecture as a subject and a profession can be discussed. The conversations in the book range from career paths and journeys in architecture, to discussions on architecture as a subject and a profession to the discussion on the position of Indian architecture in the global context. What I really enjoyed during my interactions with all these architects was the fact that there was no mincing of words, and the architects candidly stated their very strong opinions on various issues. To the extent, that many admitted that there is a dire need for the fraternity to stand up, assume their responsibilities, which are not for their clients only, but for the society and the nation as a whole. It made me realize to what extent we as a community are self-aware. The architects in the book talking about “architecture beyond architecture” further discuss their social responsibility, how they need to reimagine their roles, and how alternate fields such as architectural writing, landscape planning, and conservation should be made integral parts of the curriculum. There are many issues pertaining to the field today that need discussions, including topics such as architectural education, the respect of the profession in India, governing bodies and laws, women in architecture, the truth behind terms like sustainability and green, and how architecture should be able to influence and create a demand for a better society. This book also features handmade sketches by the architects and images and drawings of their important projects too. One of my biggest takeaways from this book has been the learning that humility is the biggest virtue, and is an integral part of how successful one is, something that each of these architects greatly exhibited. Research is an integral part of an architectural journalist’s career path, as whatever information that one writes, whether its descriptive, analytical or critical should always be based on facts. While the conversations with the 17 architects in the book have an underlying thread and theme that binds all of them; however, a lot of research went into understanding the individual expertise, philosophy, thought process and contribution of each to pose the questions that were relevant to their genre of work and their architectural theories. My own career path has made me believe that one’s career should be dictated by one’s passion and interest, and not by what the world is doing. This is another learning that the architects in this book even exhibit. 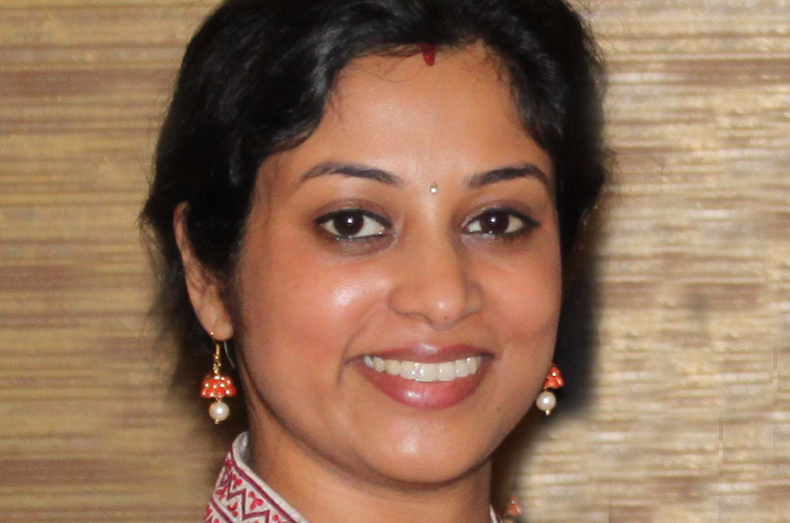 To know more about Apurva’s work as an architectural journalist, you can visit www.apurvabose.com. You can also visit the website of the book's publisher (UK-based Cambridge Scholars Publishing) http://www.cambridgescholars.com/architectural-voices-of-india. The website is additionally offering a 50% discount on the book for the months of September and October.